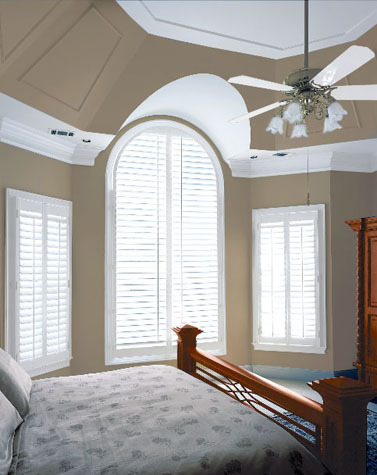 Trisol wood shutters are made from 100% Canadian hardwood, this allows both the panels and frames to retain their original appearance throughout their lifetime. 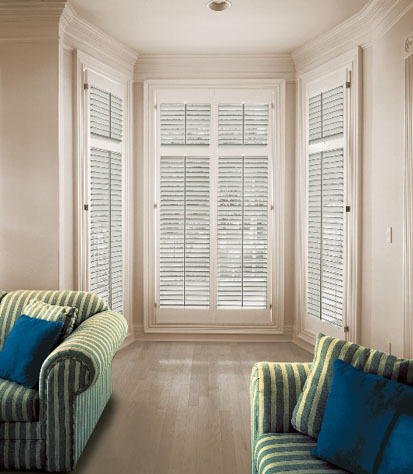 Wood shutters can work in both classic and contemporary design, hand sanded louvers could be compared to fine furniture finishes. 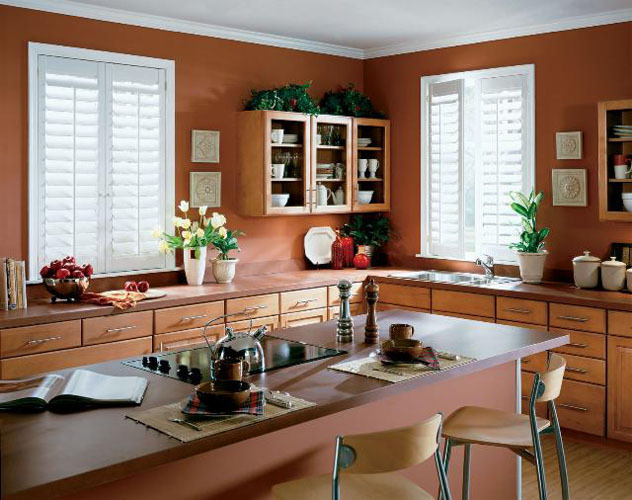 Choose wood shutters to add a long lasting beauty, warmth and rich dimension to any room. Available in the following louver sizes 1 1/2”, 2 ½” and 3 ½” to fit any window. UV Stable paint and stain finishes, easy to clean & antistatic, multiple privacy options to fit your needs, louvers close tightly in both directions. The following options are available – Single Panel, Double Panel, Bi-Fold Panel, Double-Hung, Café Style, Hidden Pushrod System, Specialty Shapes and Custom Painting and Staining.